MI are on a three-match winning streak. Mumbai Indians (MI) have gradually picked up in this edition’s Indian Premier League (IPL). They are on a three-match winning streak and are currently placed in the third position of the points table with eight points from six matches. 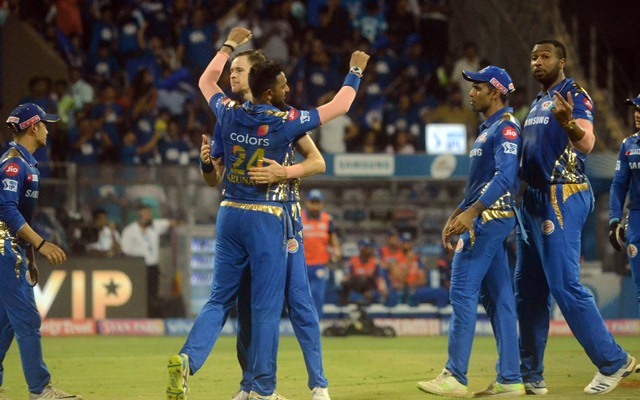 In their last two matches against the Sunrisers Hyderabad (SRH) and the Rajasthan Royals (RR), MI found themselves in trouble, but Kieron Pollard bailed them out both times. In the first match of tomorrow’s doubleheader, Mumbai are scheduled to lock horns against the Rajasthan Royals (RR) who lost against the Chennai Super Kings (CSK) in Jaipur. The Royals desperately need to win as another defeat would literally throw them out of the competition. As far as RR and MI’s head-to-head record at the renowned Wankhede Stadium is concerned, Mumbai are ahead by 4-2. The pitch in Mumbai has been a batting paradise, thus far, as scores of above 180 have been frequently seen. The temperature during match time won’t be high, hovering around the 32-degree Celsius mark. But the humidity will be high. Dew will also be there. Despite the win, MI may make a few changes. Rohit Sharma will come in place of Siddhesh Lad. Evin Lewis may get an opportunity in place of an out-of-form Quinton de Kock. In the middle order, Suryakumar Yadav, Kieron Pollard and Ishan Kishan will be crucial. The Pandya brothers need to step up as well. The pace trio of Bumrah, Behrendorff and Joseph will play. Rahul Chahar is the lone spinner. The Royals are likely to bring in Ashton Turner in place of Steve Smith, who has found the going a little tough. Ajinkya Rahane and Jos Buttler will open the batting with Sanju Samson at number three. Rahul Tripathi may be promoted higher up the order. Ben Stokes and Riyan Parag are the all-rounders. Dhawal Kulkarni, Jaydev Unadkat and Jofra Archer are the spinners. Shreyas Gopal in the spin-bowling option. 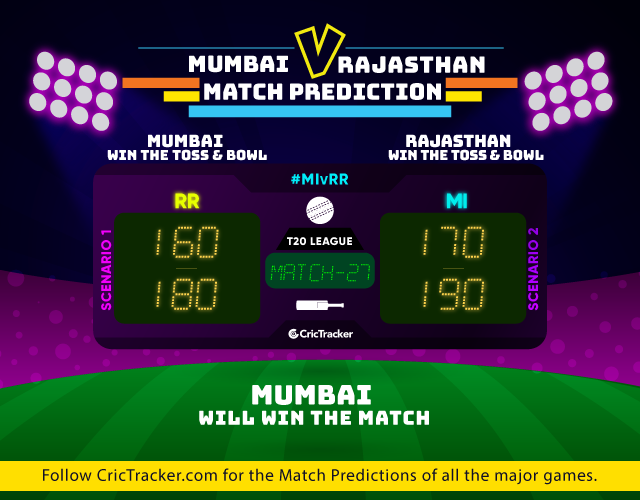 The prediction is for Mumbai Indians to win the match.